Employers should be aware of proposed changes which would provide federally regulated employees with new entitlements and corresponding employer obligations relating to leaves, hours of work, pay equity, vacation, termination of employment, reimbursement of work-related expenses, information related to employment, and compliance and enforcement, among other proposed changes. Bill C-86, the A second Act to implement certain provisions of the budget tabled in Parliament on February 27, 2018 and other measures (the “Proposed Act”) was brought forward for its first reading on October 29, 2018. The Proposed Act is an omnibus bill over 800 pages in length that would amend legislation including the Canada Labour Code (the “CLC”) and the Employment Insurance Act (the “EIA”), and would enact new legislation such as the Pay Equity Act (the “PEA”). A comprehensive review of the proposed changes along with the new PEA follows below. The proposed changes continue to be debated in the House of Commons and are subject to change. 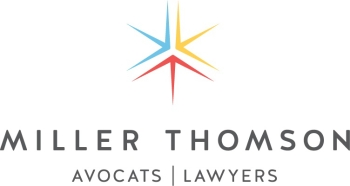 Miller Thomson will continue to monitor the Proposed Act and provide further updates. The Proposed Act would require all federally regulated employers with 10 employees or more, including parliamentary employees, to provide men and women employees with equal pay for work performed which is of equal value. This requires employers to establish and maintain a pay equity plan to identify and correct any differences in compensation between men and women employees in predominantly female or male job classes for which work of equal value is performed. A Pay Equity Commissioner would have the ability to exercise most of the powers and duties relating to administration and enforcement under the PEA. These duties would include annual reporting to Parliament on administration and enforcement, facilitating the resolution of disputes, conducting compliance audits, investigating disputes, objections and complaints, making orders and imposing administrative monetary penalties for violations of the PEA. The Proposed Act would eliminate the minimum length of service requirements for sick leave, maternity leave, parental leave, leave related to critical illness, general holiday pay, and leave related to death or disappearance of a child. The minimum length of service requirements for reserve force member leaves would also be reduced from six to three months. Reserve force members would be entitled to take a leave of absence to take part in certain activities and operations. Employees who divided their parental leave would be entitled to an increased amount of aggregate parental leave from 63 to 71 weeks. Similarly, employees who divided their leaves would be entitled to an increased amount of aggregate maternity and parental leave from 78 to 86 weeks. medical appointments during work hours. Employees continue to accumulate pension, health and disability benefits and seniority during a medical leave. Employers would have to continue to pay the contributions required for employees to accumulate these benefits during the medical leave unless the employees failed to pay their contributions, if any, within a reasonable time. Employers also would have a new obligation, subject to the terms of any relevant collective agreement, to provide employees with at least 96 hours of advance written notice of their work schedule. If such notice was not provided, employees would have a right to refuse this work subject to exceptions. For example, an employee could not refuse this work if the employee needed to work in order to deal with a situation that the employer could not have reasonably foreseen and that presented, or could reasonably be expected to present, an imminent or serious threat. The Proposed Act would raise the minimum age for employment from 17 to 18 years of age except in rare circumstances. For example, employees under 18 years of age could only be employed in an industrial establishment under certain conditions prescribed by regulation. To comply with this new equal rate of wages obligation, employers would increase but could not lower an employee’s rate of wages. Employers would not have to increase an employee’s rate if the difference in rate was due to seniority, merit or the quantity or quality of each employee’s production. Employees would have the right to request a review of their rate of wages. The Proposed Act would reduce the length of continuous service requirement for three weeks’ paid vacation from six to five years. It would also provide employees with four weeks’ paid vacation after 10 or more years of service. the employee’s employment was transferred within the federal sector or from a provincially regulated employer to a federally regulated employer. To comply with this new rate of wages obligation, employers could increase but could not lower an employee’s rate. Employers would not have to increase an employee’s rate if the difference in rate was due to seniority, merit or the quantity or quality of each employee’s production. Employers could not charge their employees fees for becoming employees, being assigned work for clients, completing any assignment or job preparation duties or establishing an employment relationship with a client. Employers also could not prevent their employees from establishing an employment relationship with a client and could not charge that client a fee for establishing an employment relationship with the employee if the employee’s first assignment with the client started more than six months before the day the client established the employment relationship with the employee. The aforementioned entitlements would not apply to employees whose employment was terminated for just cause or as part of a group termination of employment. unrepresented group employees directly or by posting the notice in a conspicuous place within the industrial establishment where they work. written notice to the trade union representing the group employees and directly to unrepresented group employees. transitional support measures if pay in lieu of notice or a combination of pay in lieu of notice and written notice was provided. If written notice or a combination of written notice and pay in lieu of notice was provided, employers could not change any term of the group employees’ employment without their written consent and would have to pay them their regular rate of wages for their regular hours of work until their termination date. The Proposed Act would provide employees with reimbursement for reasonable work-related expenses. acknowledging that an order of the Board could be filed and registered in the Federal Court and would have the same force and effect as if it were a judgment obtained in that Court. The Proposed Act would increase the amount of parental benefits paid if these benefits are divided between claimants under the EIA from 35 to 40 weeks and from 61 to 69 weeks depending on their election. The Proposed Act contains extensive amendments to several pieces of legislation including the CLC and the EIA and enacts legislation including the PEA. The Proposed Act received first reading in the House of Commons on October 29, 2018 and debate continued throughout the week. These changes will not have the force of law until approved by Parliament.